Some parents are nervous about administering sedatives to their children no matter the circumstance, but we’re here to clear up the misconceptions about Nitrous Oxide and help you feel confident about your child’s dental treatment and the medications that can be helpful. Nitrous Oxide is a big word for little kids, but for those who are anxious or nervous about having their teeth cleaned or a cavity filled it can be the best way to calm those little nerves. 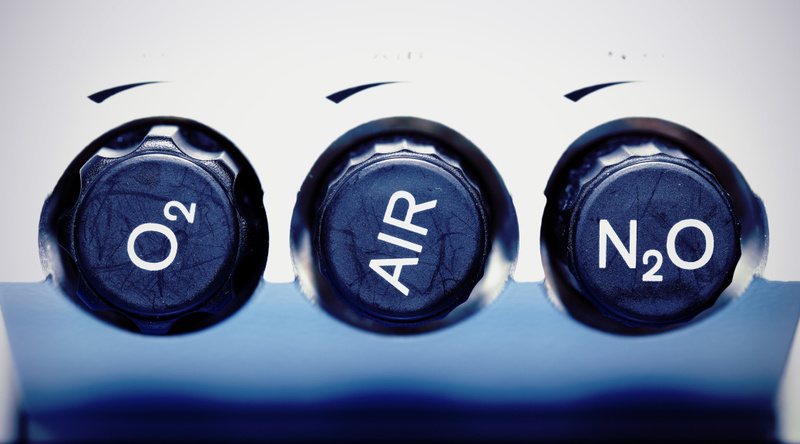 We like to call it, “Laughing gas” or “Happy air” because when it is inhaled it produces a relaxed and calming effect. The gas itself is very safe; it’s made of a mixture of Nitrous Oxide and Oxygen. Your child remains conscious, alert and still able to respond to questions and directions their pediatric dentist may have. There are no lasting effects of laughing gas, in fact, as soon as the face mask administering the gas is removed, your child will return to normal within seconds. Laughing gas is nothing to be afraid of. If you have any questions about if your child would be a good candidate for Nitrous Oxide during their next appointment, give your pediatric dentist a call. We’re happy to assist you make the best dental decisions for your child.